Once upon a time, in the land far removed from today’s India of swish malls and e-shopping, an annual fair, or carnival (mela in India), used to be the much looked-forward event combining entertainment with shopping for the simple folks who inhabited the tier-2 and tier-3 towns of India. The bigger of these were the travelling exhibitions which went from town to town. These carnivals followed a three-prong economic model: purchasing and transporting different wares from far-flung parts of the country energised the economies of all the areas en route, including the railways, trucks and so on. At the fair destination, local labour was hired to set up stalls and entertainment activities. The food vendors, both local and from the neighbouring districts would set up their food shacks; and finally, the actual sale of goods. It was win-win for everyone involved in the entire process. Since the fairs were driven purely by commercial interests, the organisers used to device imaginative ways of attracting footfalls, during the weeklong exposition; and also to keep the interest of the locals alive in the event year after year. Hence, every day’s trading used to end with an evening extravaganza — from magic shows to folk dance, musical and sometimes even poetic soirees. Some of the carnivals were so big and successful that they used to bring in movie actors to perform on the concluding night of the event! For the residents of the towns which hosted these carnivals, and those from the neighbouring districts, these were calendar events, advertised and marketed in advance through posters and town-criers. In the pre-economic liberalisation era, a large number of Indians did not have access to fancy stuff, personal or household; and ordinary people rarely travelled to shop. In addition to bringing Indian crafts from over the country in one place, these exhibitions also sold so-called ‘imported’ stuff smuggled into the country through the porous India-Nepal border. Then economic liberalisation happened, the world started shrinking into a global village and most small town fairs were relegated to the dinosaur age. However, as some spiritual gurus say, the past never goes away, it finds its way back into the present in a different form; the small-town travelling fairs are back. Only in the present form it has a fancy name — DefExpo. 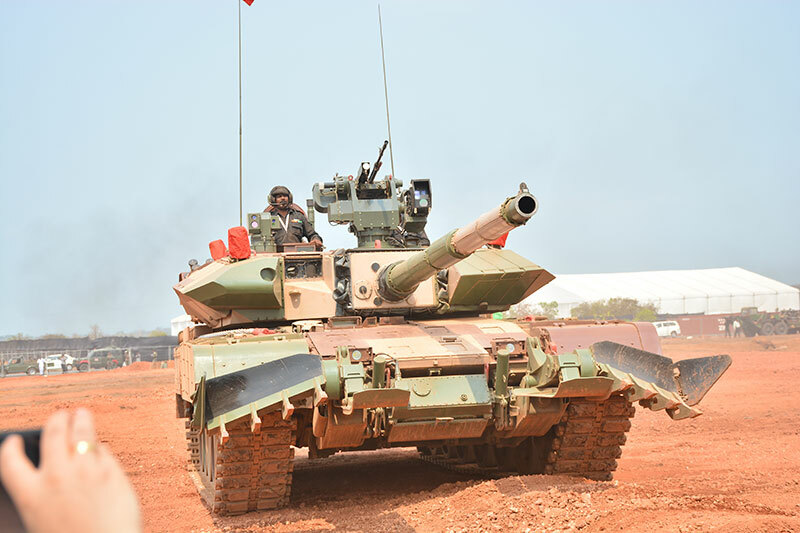 The biennial land and naval systems show which started in February 1998 in New Delhi (and continued to be held in the national capital till 2014) has emerged as the true successor of the erstwhile carnivals, travelling with the defence ministers to their home states. 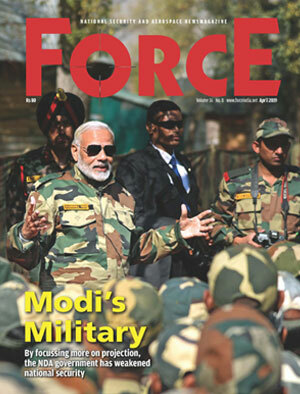 In 2016, defence minister Manohar Parrikar took it to his state Goa, and current defence minister Nirmala Sitharaman has taken it to hers, Tamil Nadu. Inaugurating the last show, defence minister Parrikar had apologised to the visitors wiping streams of sweat for the inconvenience caused. In his speech, he said, “I am sorry we could not provide a closed sitting area for the inauguration because we didn’t have enough time to do that.” Expecting the Show to return to Goa, he promised that the next time things will be better. Little did he realise that the Show had changed character. From a defence trade show, proudly touted as the biggest land and naval systems exhibition in this part of the world, it has become a people’s show; a multiday extravaganza for the entertainment of the local people and to energise the local economy. While the last Show was set up in unprecedented three months, this one is all set to break that record. It won’t be far-fetched to expect several organisational and infrastructural glitches. After all, there is only this much that can be achieved in three months or less, when the rest of the world takes two years to organise one Show, and that too at a pre-fixed location with permanent exhibits! But India is different, and often things fall in place quite mysteriously, perhaps through divine benediction. One Indian chief minister had famously remarked that events in India are like a wedding. No point planning too much in advance because things always go wrong and yet come together at the last minute. And even if they don’t, so what. So it is with the defence shows. One, this vacillation on a defence trade show reflects lack of professionalism, which does not inspire confidence. 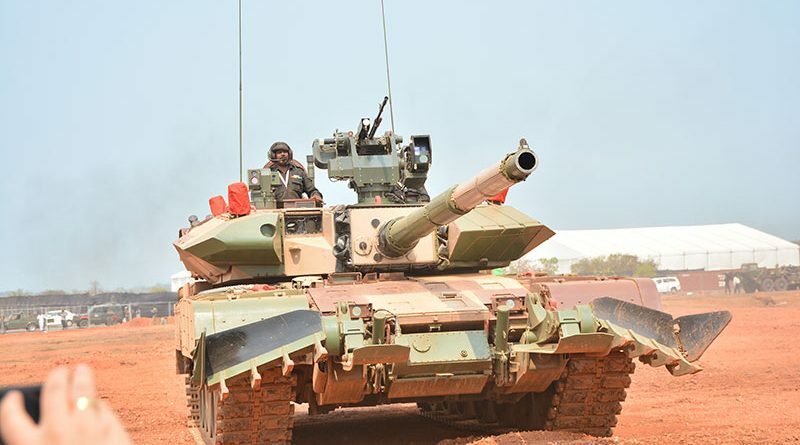 Several global companies are not participating in DefExpo — even though they are keen to participate in the forthcoming defence acquisition programmes — as they have allocated their exhibitions’ budget to other shows. Three, for all its professions about giving an equal opportunity to the private sector, nobody takes the government of India seriously on that count, because the proof of the pudding is in the eating. None of the programmes which were opened to the private sector have taken off. The much-touted Strategic Partnership remains on paper even after so many months. The MoD has still not selected the strategic partners, even for programmes for which the request for information was issued last year. Given this, what capabilities DefExpo 2018 will showcase and who will be impressed by that is anybody’s guess. More to the point, can DefExpo 2018 reclaim the position of a serious defence trade show, and not just a defence carnival organised to please a certain class of people with certain (non-defence and non-industry) objectives in mind? Till we discover the answer to that over the next three days, welcome to the second edition of the great Indian defence carnival. In its first edition, the visitors were able to savour the glorious colours of the scorching red earth of Goa; taste the freshly caught seafood; and found inner peace by doing yoga on the pristine beaches (as recommended by the Goan chief minister) even as the orange of the sun sank in the Arabian Sea. The second edition promises much deeper spiritual awakening of the senses. While the humid heat of Chennai will release toxins from the body, the cluster of temples all along the DefExpo venue are likely to aid quicker communion with the divine. And instead of the setting sun, the visitors can offer salutations to the sun rising in the Bay of Bengal. India, after all, offers unparalleled spiritual experience. So, make the best of what’s on offer!